Classic and contemporary: this is the synthesis of ORSON collection. The harmonic and sinuous lines, are the “fil rouge” between the items of this collection. The easy-chic spirit of the new ORSON 006 deck chair is the perfect balance between material, shape and colour; the elegant teak frame, with a round section, combines with the transparency of Canatex in grey or sand colours. A small and essential capote protects from the sun, creating a pleasant shade. 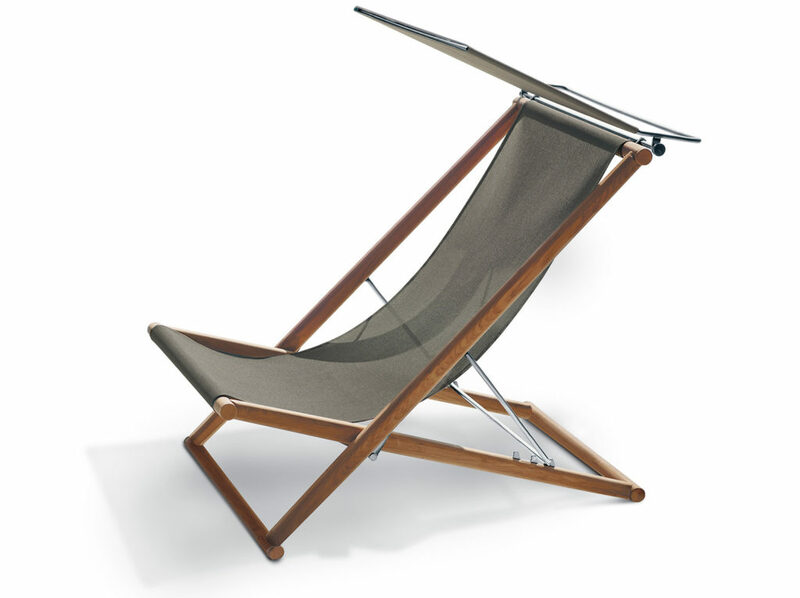 Practical to fold and very light, the ORSON deck chair is the best interpretation of the traditional outdoor furniture stored at the end of summer.